Every summer over 100 Hofstra alumni participate in studio, over the phone, and on line during our annual HRAA All Star Alumni Marathon. 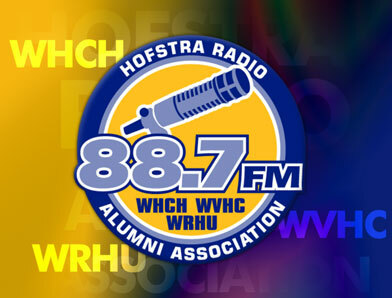 Alumni host shows with current Hofstra students and staff making for an exciting and entertaining event. 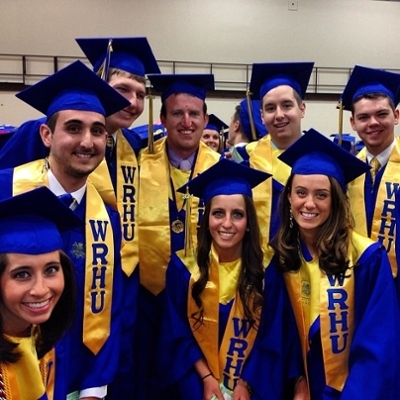 As part of our alumni marathon alumni can submit photos for our alumni photo gallery (by emailing John.T.Mullen[at]Hofstra.edu). 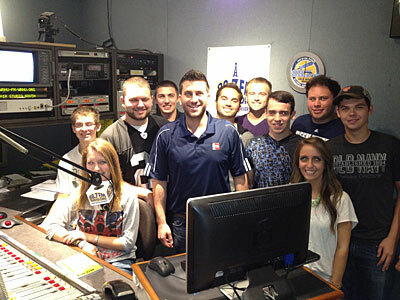 CNN morning sports anchor / NBA TV anchor & proud Hofstra Radio Alum Jared Greenberg in WRHU studio south with a group of students during a mentoring session.